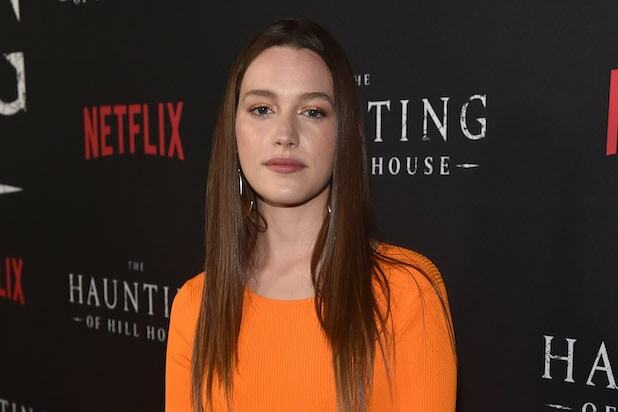 With its return on the cards, You has added The Haunting of Hill House actress Victoria Pedretti to its cast. The casting news is one of the few new developments for You as it gears up for season 2, with the details of Pedretti’s casting only adding interest to what viewers can expect for the show. You has gained a large following on Netflix, as well as a second life on the streaming platform thanks to its renewal there. Based on the novel of the same name by Caroline Kepnes, season 1 of You followed bookstore manager Joe Goldberg (Penn Badgley) as he firsts stalks and then manipulates into dating aspiring novelist Guinevere Beck (Elizabeth Lail). The series charts the dangerous lengths Joe goes to in order to keep Beck all to himself, which includes murder. Pedretti will play the season’s female lead, Love Quinn. Love is an aspiring chef who works as the produce manager at a pricey grocery story when viewers first meet her. Unlike Season 1’s protagonist, Beck, Love is not into leading a curated life on social media, instead favoring a more authentic, interesting lifestyle. She will also apparently be working on getting through a major loss in her life when she meets You‘s ostensible villain, Joe, which is how the two characters will meet. With little to no new plot information and the season premiere date yet to be announced, the addition of Love in You season 2 is going to help give root to the inevitable theories fans will have in regards to what they can expect to see. Is Sacred Games Season 2 News Coming Soon?